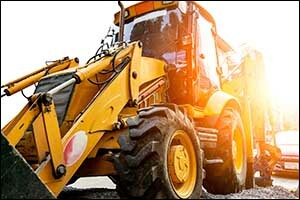 One of the many industries that we serve at Metro Industrial & Marine Supply is construction. We deal with a lot of clients who work in various sectors within the overall construction industry, including concrete flatwork for sidewalks, driveways, and curbing; asphalt, roadways, and paving; commercial and residential site work; and government or municipal projects and repairs. Boom trucks, excavators, heavy-duty trucks, haulers, concrete pumpers, dump trucks, dump trailers, and even snow and ice management equipment relies heavily on hydraulics for optimal operation. For custom hoses in Fall River to properly maintain and keep heavy-duty construction machinery in safe working order, visit Metro Industrial for our full line of while-you-wait custom hoses and hydraulic hose assemblies. Metro Industrial & Marine Supply is proud to provide services to construction businesses and industries throughout the Southcoast region. We have the unique ability to offer custom hoses in Fall River like no other business in the local area. Not only do we provide same-day service on many of our custom hydraulic hose services, but we can also make a wide range of hose sizes, including 1/4″ to 2″ ID 1-6 wire hydraulic hoses, to meet the needs of our customers. US, British, metric, and JIS adapters are available, as well as a large stock of industrial and hydraulic hose couplings and adapters. Our customers appreciate the value that they get from our hydraulic hose repair shop in Fall River to help keep their essential construction equipment running effectively and efficiently. In the construction industry, time is money. Time wasted due to hydraulic failure or improperly working equipment can cost a company, not just money, but also future work and their reputation. We work hard to ensure that our customers have the hydraulic and industrial transfer hose, fittings, tubing, and accessories they need to get back to work with minimal downtime. We provide custom solutions for a wide range of hydraulic hose applications, markets, and industries. Out of all the industries that we serve, the construction industry is one of the highest demand markets in the local area. We also send our Fall River industrial supply, including custom hydraulic hose assemblies and bearings, to customers across the country and around the globe. For customers in the construction industries, custom hoses are used for the transfer of air, water, fuel, and, of course, hydraulic fluid for energy transfer within heavy-duty machinery. Some of this heavy equipment includes bulldozers, backhoes, excavators, and wheel loaders, which require the hydraulic system to be working effectively and efficiently during operation. Our hydraulic hose repair shop in Fall River works to meet the demands of construction equipment, which has changed much throughout the years. We ensure that our hydraulic and industrial hoses meet specific standards and industry specifications, including ISO, SAE, EN, and DIN, to guarantee the consistent level of performance that our customers require to stand up to the toughest environments and conditions. Material handling equipment also relies heavily on custom hoses in Fall River, including high-pressure varieties with braided hose, spiral hydraulic hose, and other innovative hose solutions. These are used for equipment that handles heavy work such as transport, positioning, unit load formation, storage, and many other types of heavy-lifting for the construction industry. At Metro Industrial & Marine Supply, we are proud of the services that we provide to our customers across so many different industries, including waste collection, transportation, production and manufacturing, oil and gas, municipal and government, mining, marine industrial, food and beverage, entertainment equipment, and agriculture. We go above and beyond the meet or exceed the expectations of our customers, providing same-day service on most of our custom hoses. You can count on our Fall River industrial supply services to help with replacement hydraulic hoses and other industrial parts, supplies, and materials. We can create custom hose assemblies while-you-wait and place orders for specialty items that are hard to find or not in-stock at our warehouse. For more information concerning all of the products, parts, and services available at our New Bedford location, including Fall River hydraulic hose assemblies, you can reach our team at 508-996-8400 or visit us at Metro Industrial & Marine Supply on Coggeshall Street during store hours, Monday through Friday from 8 am to 5 pm.